Piñatas, mariachis, and marigolds . . . Mexico's colorful festivals are exciting and serious, familiar and unique, blending the cultures of her ancient people and of Spain, creating new traditions for modern times. Here is a year of special Mexican celebrations, from December 12, the festival of Guadalupe, through Christmas, Carnaval, Corpus Christi, Independence Day, and the Day of the Dead. 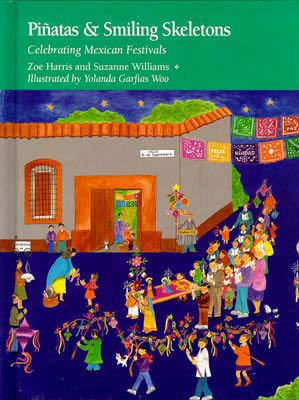 The story of the Mexican people from Olmec times to Delano provides the background, while crafts, recipes for holiday treats, legends, and spectacular illustrations help convey the richness of their traditions.